Computational Fluid Dynamics is one of the most powerful tools to aid in the effective designs of green, energy efficient buildings. CFD provides unique, detailed insight into proposed designs thereby allowing architects and engineers to virtually test out their ideas, optimize their designs and simultaneously satisfy both cost and performance objectives. Because the technique is a virtual method, no costly testing or prototyping is required, and, potentially toxic exposure inherent with some testing is avoided altogether. CFD also offers users the ability to design toward the most energy-efficient designs without compromising other factors such safety or comfort. CFD analysis of ventilation effectiveness. Analysis of mass displacement ventilation systems. Solar insolation studies - solar collection or solar shielding. Heat transfer studies of window walls. 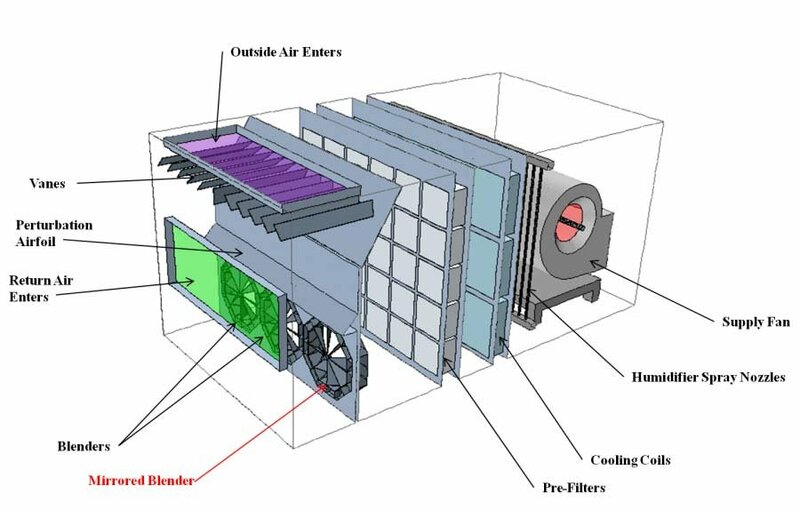 Analysis of specialized "green" air handlers. Wind studies of induced draft exhaust fans. Outdoors - natural ventilation, wind turbines, etc. 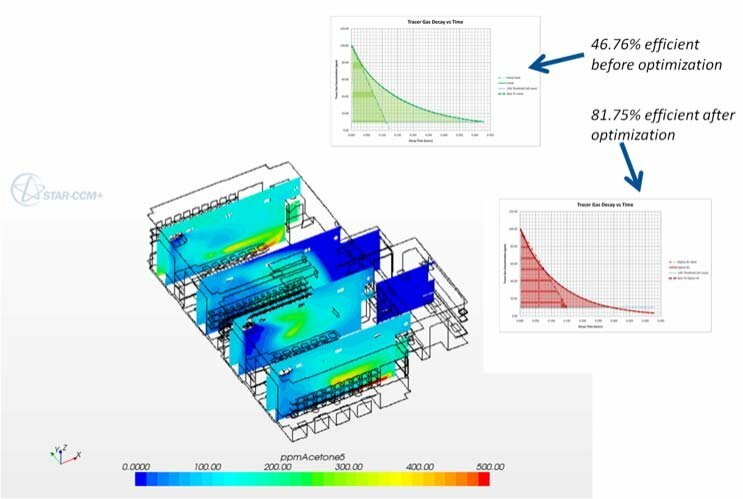 Ventilation optimization using CFD - Ventilation effectiveness improves from 46.76% to 81.75%.